The keyword in hairstyles and color for the 2014 is "Illumination", an important element in beauty, glamour, pleasure and sexyness. This is exactly the effect created by the Intercoiffure Mondial Artistic Team with its latest trend collection "Illumination 2014". Femininity, individuality, with a hint of struck by lightning. 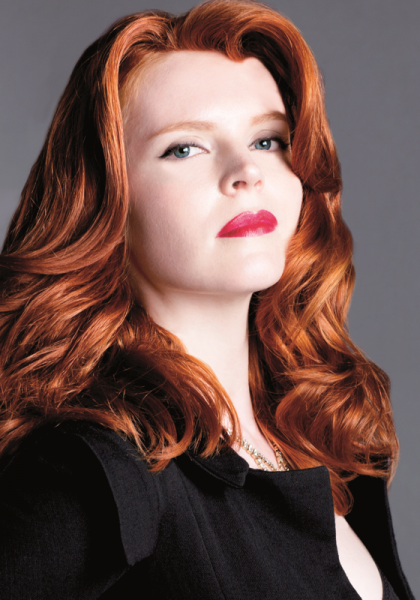 Four extraordinary hair fashion looks with customized cut and colour ideas, innovative techniques with a poetic, emotional interpretation, among the top trends: eccentric bobs, nostalgic glamour curls, graphic cuts with elegant waves for avant-garde divas. Loud, electrifying and with audacious glamour: "Tungsten" styles want maximum attention for a feminine punk appeal. Young fashion power in vinyl, leather and fur. 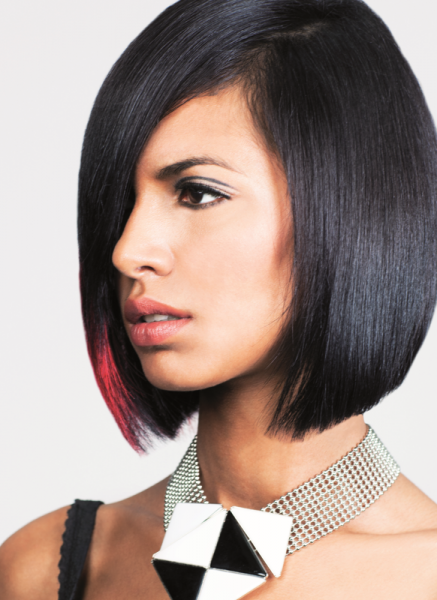 The cuts are edgy with hard contours: short bobs with voluminous texture and graphical short cuts with eccentric details. The futuristic looks are endowed with neon-purple streaks and colour effects in dip-dye technique. Dramatically romantic as in a daydream: the lifestyle universe of "Poetic Halo" is nostalgic and feminine in a hyper modern way. Undone up-dos with braided hair bands in pastel tones and soft curls in elaborate complexity are the styles of cool princesses who love to stand in the light. With it, light outfits of feathers and multi necklaces. Poetical looks – fabulous, mysterious and sometimes magical in delicate mint sorbet. High fashion in black and white: "Solar Eclipse" beams the sixties to the future and appears heavenly purist. An abstract shape pattern in artful Op-Art is reinvented: graphical cuts and monochrome hair colour underline the strict texture. The perfect up-do style with its sharp contour has the makings of a sculpture. "Solar Eclipse" appears futuristic, bright and daring – looks so exciting and spectacular as the sky phenomenon. Extra extravagant! "Lustrous Romance" styles have a glowing trend effect. A tribute to Dior's "New Look": shiny big hair creations, XL chignons with rhinestone jewelry and opulent waves. Copper à la Rita Hayworth or glam brunette as once Ava Gardner. The forties as inspiration for modern elegance and diva looks deluxe: impressive and sophisticated. "Lustrous Romance" as the perfect, feminine new fashion sphere. Go to Intercoiffure Mondial to find an hairstylist in your city.